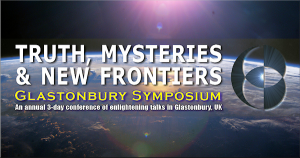 I have been asked to talk at the 2018 Glastonbury Symposium (29th July at 11.00am) and the subject I have been asked to present is the “What Are Aliens” lecture. You can find the PDF of the presentation on my lectures page. Here is a link to the schedule. The Symposium is held over the weekend of 27th – 29th July at Glastonbury Town Hall and attracts many visitors.